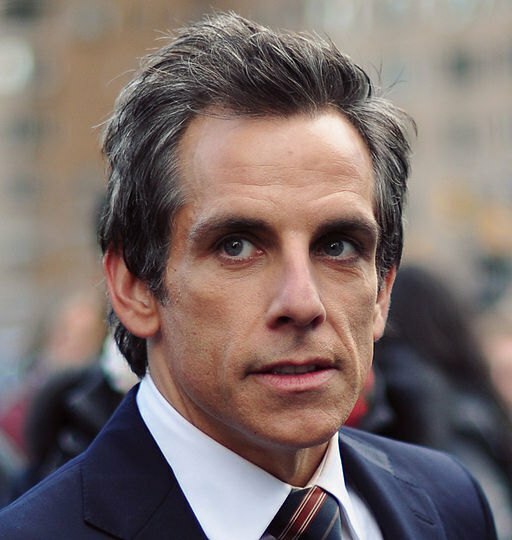 building dwellers should not be too surprised if they run into Ben Stiller or Adam Driver in the hallway next week. 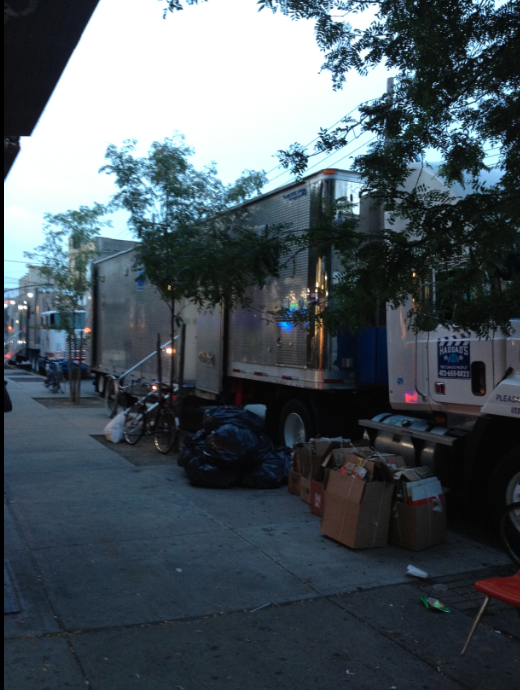 The actors and the film crew were responsible for a number of trucks in front of Hana Supermarket on Wyckoff Ave yesterday. 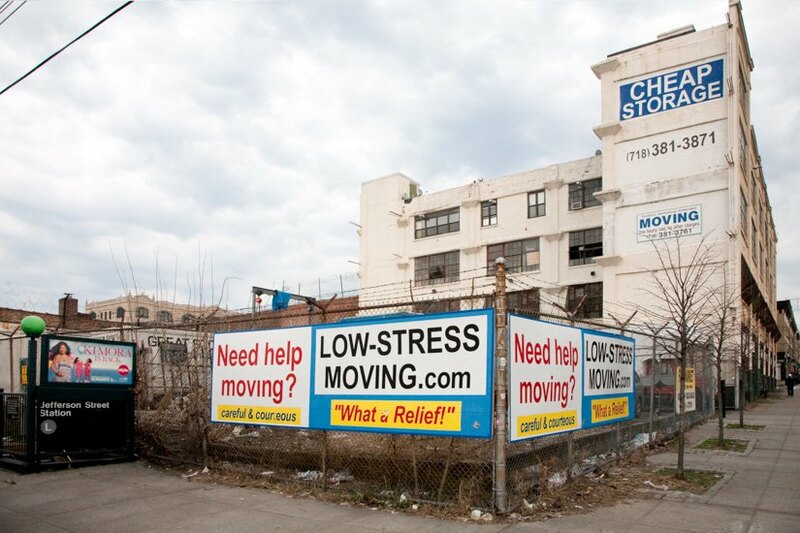 The crew has begun rehearsing and pre-filming in the Cheap Storage building where they rented a top floor loft and the roof, one of the film crew members told us. Several crew members told us the film crew will be back again sometime next week to start filming in the building, but they couldn't tell us which days in particular it will be. The movie When We Were Young will be released in 2015 and will be about "an uptight documentary filmmaker and his wife who find their lives loosened up a bit after befriending a free-spirited younger couple," according to IMDB. 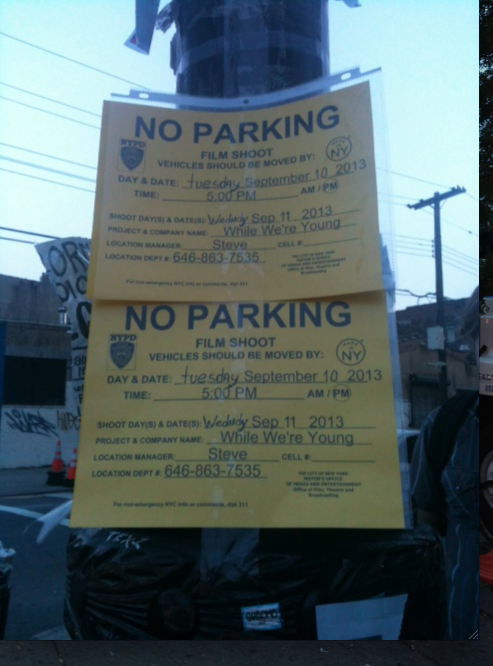 So will the uptight couple befriend a Bushwick couple? The movie is directed by Noah Baumbach, and cast includes Amanda Seyfried, Naomi Watts, Ben Stiller, Adam Driver, Charles Grodin, and Adam Horovitz. Cheers!